Anthony Quinn’s Disappeared opens on an interesting scene. David Hughes, an old man suffering from Alzheimer’s, suddenly encounters a ghost from his past. It seems to be the spirit of Oliver Jordan, a man who has been dead for nearly twenty years; it is implied that he was murdered by the IRA. Jordan has returned to sniff out his killers, and he demands David’s help. A month later, David’s sister telephones the police in hysterics. David is gone, apparently kidnapped. Even if he wasn’t kidnapped, the odds are slim for a man with Alzheimer’s to survive on his own for a long time. Inspector Celcius Daly is called in to investigate. Before long, a corpse is discovered by a priest and the savagely-murdered victim had a connection with David: their mutual passion for duck-hunting. Those are pretty much all the problems I have with this book. If you know what kind of book you’re dealing with, you won’t encounter the sense of disappointment I did, so the odds are you will enjoy the book more than I did. Although it isn’t perfect, Disappeared is a really solid read. 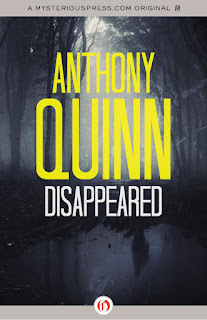 Author Anthony Quinn shows what can only be described as pure writing talent, particularly when creating suspense. 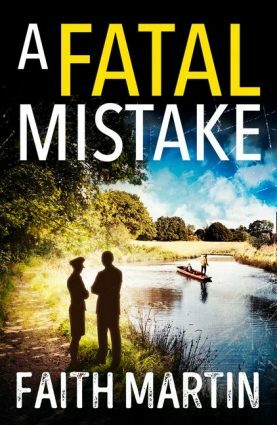 There’s a particularly fantastic scene about halfway through the novel where a police detective goes to a rendez-vous with David Hughes’ kidnapper. The climax is also excellent, even though the villain was introduced at the last minute (which does somewhat weaken the overall effect of the climax, but not by too much). But what I found particularly fascinating about Disappeared is the way the author brings the Irish setting to life. I’ve personally never been to Ireland and only know the basics about its historic political tensions. Even so, I briefly found myself transported to Ireland. I could see the various locations described. I could feel the currents of anger buried in the nation’s past. The author seems quite passionate in his quest to recreate some part of Ireland. It also helps that the characters are excellent. Quinn’s portrayal of David and the illness that slowly deteriorates his mind is wonderful. Celcius Daly is a decent, hardworking police officer in a world that seems dead-set against him. His hard work and determination to get to the truth, no matter what the costs are, are admirably heroic qualities and make him a most agreeable protagonist. Overall, Disappeared is a very interesting book despite its flaws in the plot construction. The atmosphere and pacing are terrific, and the major characters are quite likeable. It’s clear that the person wielding the pen has got some genuine talent for writing, and I sincerely hope the book is a success. I’d definitely be interested in reading more from this promising new author! Disappeared is set to be published as an e-book by MysteriousPress.com on July 24th.